The children of the earth, wakanyeja makah, are our winged, finned, insect, and four-legged friends who have a special knowledge of Mother Nature and the corresponding four directions. Each creature child of the earth can become a helper for two-leggeds to aid our seeking of universal knowledge. 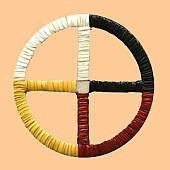 The four directions, the four quarters with the full power of the earth and sky and all related life is regarded as the Sacred Hoop. Red Hawk was Crazy Horse’s medicine: fearless, aggressive and swift moving. The red hawk is a messenger. It is close to the eagle, and it’s gifts are very similar to those of its larger flying relative. The hawk is keen-eyed and observant. 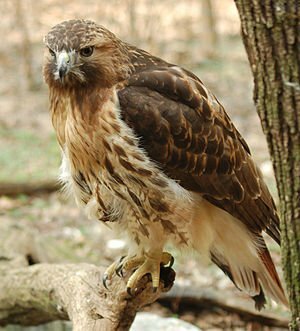 Like the hawk, we must all become keen-eyed and observe the signs that the environment is sending us. We must keep ourselves aware of the notable happenings that we perceive from each new day. Red Hawk is linked with the rising dawn of the east. It is a communicating messenger for knowledge. Wolf, like many humans, is a misunderstood animal. 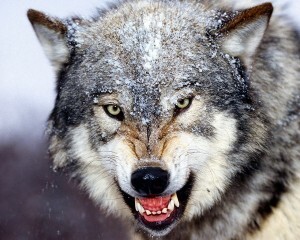 True, Wolf is a predator. It chases down it’s prey and kills with its powerful jaws, but it is only fulfilling the Great Spirit‘s overall plan for natural selection and reduction. Wolf is like many of two-leggeds. It is territorial, hunts or seeks provisions through group effort, and is a loyal and dedicated family participant along with having an equally dedicated tribal bond to it’s pack. 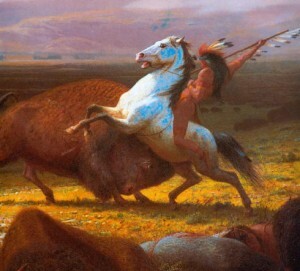 The buffalo was sustenance and life to the Sioux. It was also shelter and warmth. Our spiritual messenger, the Buffalo Calf Woman, even took the form of a buffalo, a white buffalo calf, after she appeared to us in human form and taught us the use of the sacred pipe within our ceremonies. Buffalo is provisions, shelter, and thanksgiving. What buffalo symbolizes usually takes for in the summer; therefore the buffalo is strongly associated with the south. After the summer buffalo hunts, it was a time of rich provisions. The hot, dry plains air at that time of year effectively dried the buffalo meat for winter storage. Our tipis were made of buffalo hide, and after the summer hunt the Sun Dance for thanksgiving to Wakan Tanka (Great Spirit) was held. Bear is an excellent representative for the warm south direction. Bear’s claws dig into Mother Earth for her herbs and roots. 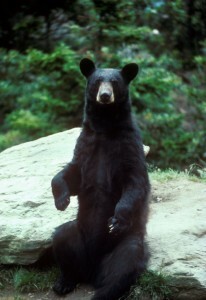 Bear is a symbol and a strong totem for those who seek the earths medicines. Bear is a reminder of summer, the season that represents the warm south. Spring is the awakening of the annual cycle of seasons, and east represents awakening. Fall is representative of preparing the bear’s long winter sleep. The leaves fall like shadows, and the west is associated with autumn. The white north and the winter’s snow is an obvious association. Summer is related to the south direction where the intensified sun rays bring forth their growth and harvest by warming Mother Earth into her rich bounty of provisions, medicines, and shelter from the wood of the standing ones (trees). Bear makes full use of summer and then goes into hibernation when the snows fall. The long sleep brings winter dreams. The thunderbird is symbolic of the power within the thunder and lightning of the great life-giving rains (wichoni minne) that roll out of the west. “I have the power to make live and the power to destroy,” Black Elk was told by the west power. Surely the lightning can destroy, but more life comes from the west wind thunder-storms. The golden eagle is a symbolic bird for the thunder being. Lightning streaking across a black background is another symbol of Wakinyan power upon a shield. Growth from the earth is a power of the thunder being. The thunder is the Great Spirit’s earth voice. Before the rain, so much life in all forms is about to spring forth that earth and sky communicate. All creatures are being told that the lifeblood, the water is about to descend. When the Sioux first saw the horse and a man riding it they called it Shunnka (dog) Wakan (holy). They called it holy dog because it could carry man about, and this allowed the buffalo to be hunted much more efficiently. It lived with man like a dog, yet it had so much power. Later the horse was called Shunnka Tanka (a very large dog). The black horse in Black Elk’s vision symbolized the first power of the universe, the west power. The black horse as a creature symbol on the sacred hoop of life represents Black Elk’s powerful vision. 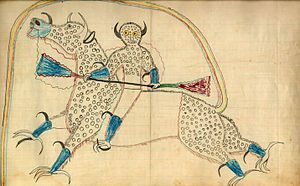 A white horse, a roan (red) horse and a buckskin or yellow horse would equally be representative of Black Elk’s vision, and the four of them together would represent the first four powers of the rainbow-covered lodge. The horse upon a shield or on a painting can be a recognition of the great vision. It is also an encouragement that the powerful spirit forces have not forgotten the Natural Way and will be there to help if called upon. The polar bear ranges the frigid Arctic, living where no other four-legged can survive. Patience, resolution, and a solitary life are some of it’s major characteristics, but endurance is the key word for this representative of the north. Other then a female with cubs, Mato ska keeps to itself and out on the pack ice where it spends most of its life hunting its favorite food, the ringed seal. The bear’s white camouflage, keen sense of smell, sharp claws, and patience enables it to catch the seal when it surfaces to breath at holes or openings in the leads or edges of ice. Its strength, stamina, and speed make it a feared animal when it leaves the ice pack and comes south for a brief time to mate. While Polar Bear is away prowling the Arctic ice, Snowy Owl is the bear’s north-wind messenger; it watches out for us, especially during the ling northern nights. Owl is the swift, silent hunter of the night. The old-time traditional Sioux admired this bird so much for its ability to catch its prey in the dark that warriors who had excelled in combat were allowed to wear a cap of owl feathers as a badge to signify their bravery. Native Americans recognized that animals and birds had powers that humans did not possess. 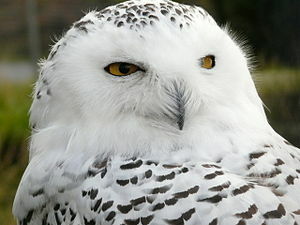 The owl is a good example of a creature that possesses special powers that the two-leggeds have not been endowed with. Owl teaches us to be like the north wind. Face the elements and learn endurance; from endurance gain courage. Like the driven snow, seek purity in your goals and endeavors. Keep a clean body and surroundings. These habits are helpers in keeping a clean spirit and a pure heart. The north wind is harsh at times, but it leads us to a healthy respect for truth. Armed with natural truth, Owl will help you get on with your tasks and natural path that lie ahead. 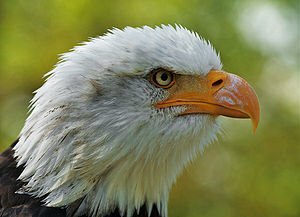 The bald eagle is a symbol of leadership, and to the Native American it is the creature symbol of greatest power because it flies so high, close to the Great Spirit, and is regarded as the eyes of the all-seeing powers of Wakan Tanka, the one above who created all things. The Indian wore the feathers of the eagle, but this great bird is so highly regarded that each eagle feather had to be earned by the wearer. Deeds of bravery, generosity, self-sacrifice, or provident wisdom could result in the wearing of an eagle feather. An eagle has such good vision and great caution that seldom could a hunter get close enough to bring it down with a bow and arrow. It was regarded so highly that it was believed bad luck would befall any hunter who would shoot such a magnificent bird. Eagle is regarded as the connection to Wakan Tanka. 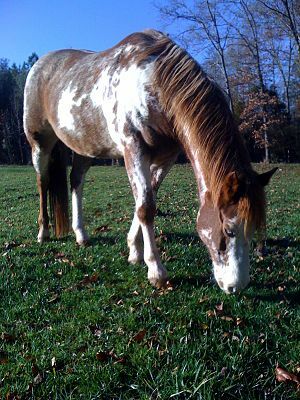 Its feathers are regarded as having brushed the face of God and are used as powerful healing tools. Eagle feathers are also believed to help an individual to gather courage and to maintain courage for a fearless drive to perform a good task or worthwhile deed under difficult conditions. Turtle is the symbol for Mother Earth. Maybe in these troubled environmental times, everyone’s shield should bear some recognition of turtle. In the old days when the Sioux saw turtles leaving a pond or stream, in time the pond or stream would become dry. Of course these little creatures were regarded as knowing beforehand. Their exodus was a weather warning that dry times were coming; therefore, they were called water carriers. The Sioux said wherever they went they carried water. When they left the water would go with them. The turtle has two habitats, water and earth. 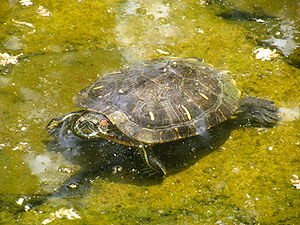 Our two-legged bodies are reflective of the turtle’s habitats. We are made up of water and earth, and like the turtle we are dependent upon the sun for our energy source. Dragonfly spends its beginning life under the stones and pebbles of a mountain stream, a pool, or a pond, crawling from hiding place to hiding place in its search for food; it is a favorite meal of various fish. The nymph undergoes metamorphosis and instead of being a fiercely ugly little crawling creature that resembles a miniature dragon, it develops wings and rises to the water’s surface. If a trout or panfish doesn’t feed upon it, it flies into the air and looks down at where it came from. It is suddenly in a new medium, a medium that would be vastly inconceivable by water creatures such as it had been under the surface. Its configuration and physiology undergo such a total change that it could be somewhat analogous to comparing it to a two-legged’s spirit when it rises up and enters the spirit world. If the dragonfly is a knowledge seeker, it now has an opportunity immeasurably greater than it could have ever conceived of when it was so restricted under the water’s surface. There it was unaware of the vast, new, inconceivable realty that exists. Dragonfly can now discover, search, and grow, by a simple beat of its wings. Dragonfly also reminds us of the four quarters and the four seasons. 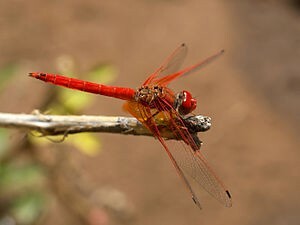 Red Dragonfly comes to us in the spring, when the waters run just right for it to sprout its wings. Yellow Dragonfly zooms across the ponds in the heat of summer. Blue Dragonfly tells us that the fall is upon us and the long winter is approaching. Blue Dragonfly also reminds us that blue is considered a representative color for the west because of the life-giving rains, the wichoni minne, that come primarily from the west. Winter Dragonfly stays under the white snow that covers the icy ponds and pools, crawling about in its hiding places and being limited in its vision at the bottom of the waters.